CHECK OUT DAQMAN RATINGS ON BETDAQ ANTE-POST: Daqman’s ratings and Fortune Cookies update is revealed today ahead of the autumn programme of big races. It shows one horse head and shoulders above the rest, and recommends new names for the Nunthorpe and the St Leger, both listed in BETDAQ ante-post betting. IT’S A CLASSIC FEATURE: ‘SEE HOW THEY RUN’ 2018: Look out tomorrow for Daqman’s See How They Run feature on the two-year-olds of 2017, the races that will establish them, and the trials that set them up as Classic contenders for next season. She’s 10 points better. Daqman, who spotted Enable when a 25-1 shot for the Epsom Oaks, now gives her a sky-high rating up to 10lb ahead of anything else with four legs. Four winners of eight races in the top six of his his ratings list, published today, serves to show the success of his Fortune Cookies (marked with an *asterisk), and how hot horses of the last few weeks are surging up the ranks. Harry Angel, Limato and Brando are within a pound of each other in the speed category but Battaash usurps the vote for champion sprinter so far. Crystal Ocean just leads Stradivarius in the St Leger standings. Not sure there is any cure for seconditis. Fine margins this game at time. Fine margins. 2.00 Leicester Good to soft ground at Leicester sees all six races contested by single digit fields and nine non runners on the card at the time of writing. Experience counts for plenty in these conditions, especially in the case of two-year-olds. Iconic Sunset, with three starts is positively battle hardened compared to his opposition. He’s already achieved a rating of 75 which might be good enough here. I like the fact that he has already run well over today’s seven furlongs and on good to soft ground (fifth on debut at Newmarket) – conditions which are likely to prove attritional to his rivals. He was beaten four lengths by Alfa McGuire at Beverley last time out but didn’t help his cause by stumbling at the start. His form is fair without being exceptional but it’s the ‘eX-Factor’ I’m counting on today – experience. Michael Bell’s Neverbeen to Paris showed late promise on debut at Chelmsford but only beat three home whilst Richard Hannon’s Surfa Rose was fifth at Chepstow on debut over six furlongs without any obvious suggestion that this longer trip will suit better. 3.15 Catterick Good to soft ground at the North Yorkshire venue too and the 1m 6f handicap will be a slog. Bulas Belle looks of interest. Jockey Graham Lee can do little wrong at present and Bulas Belle goes well around here. She was almost certainly in need of the run at York last month (her first since October) and that should have put her right for today on ground she likes. Pumblechook is dropping down in class and distance but his three career wins have all come on good to firm ground. 6.05 Nottingham Mafaaheem has finished 222 in his last three starts, two of which he started a short priced favourite for. Coupled with that, he has NO EXPERIENCE on tonight’s prevailing soft ground. A limited downside lay if you wish or alternatively back Sketch Book Venue in the BETDAQ place market at the same price as Mafaaheem is on the win market. He showed enough on debut at Redcar to suggest he can get a slice of this. 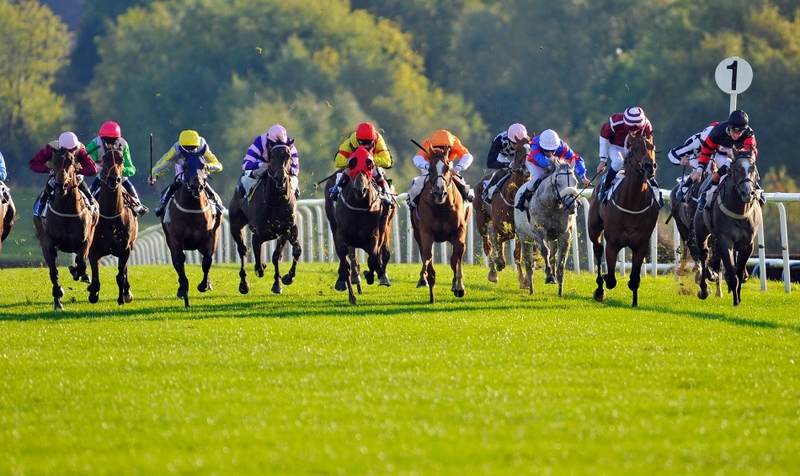 NextGLORIOUS GOODWOOD XSP: Winning more with BETDAQ!